The hardwood floor borders (also called wood floor borders or parquet borders) are hardwood flooring elements with an aesthetic role. 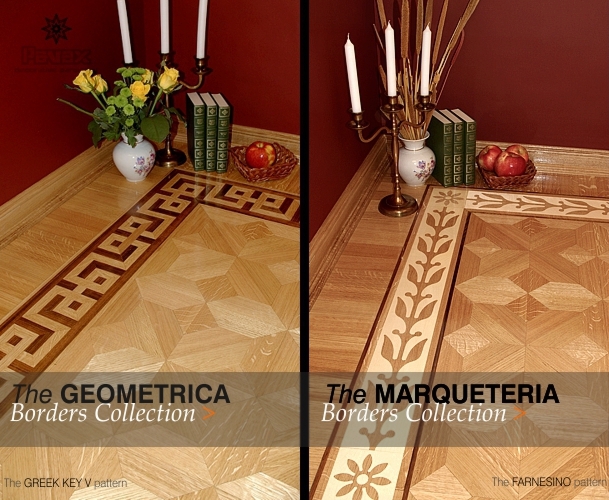 The borders complement simple to intricate hardwood flooring (or parquet flooring) transforming them in an individualized parquetry work. With an over 100 years history, the parquet borders can be found in one of the finest parquet floors of the mansions, villas and palaces belonging to an epoch where attention to detail was the companion of exceptional craftsmanship. The wood floor borders are usually used to separate two different parquet flooring layouts inside the same wood floor unit. The hardwood floor medallions (also called wood floor medallions, parquet motifs or parquet medallions) are individual pieces of decorative wood floor with inlays, with forms that range from the common circular, oval or other, used for aesthetic purposes inside hardwood flooring or parquet flooring installations. The wood floor medallions should be positioned in a way that does allow the obtaining of the highest visual impact. 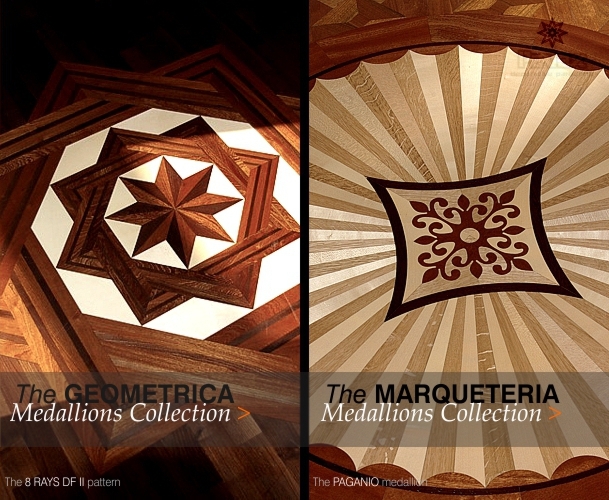 The size, proportionality, wood species used to make the medallions and their matching with the surrounding hardwood or parquet flooring can make the difference between the design's success or failure.